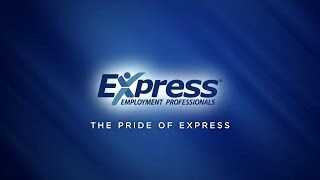 On behalf of both job candidates and client employers, Express Employment Professionals provides a unique blend of personalized service with proven knowledge and capabilities for supporting individual employment and company success. Since 1997, we have been committed to the NWI community; helping job seekers find work and local businesses find qualified employees. Our two Northwest Indiana locations are family owned and operated with a team who is dedicated to the mission of helping people and businesses succeed. For both our job candidates and our clients, the services of Express Employment Professionals extend beyond a placement or a singular role. We build relationships that support sustained success, personal growth, and business development. We are your partner in Northwest Indiana for personal and staff development. To be a trusted employment advisor offering talent solutions with preferred businesses throughout Northwest Indiana. We strive for growth and always find areas of improvement. We are a "Drama Free" workplace. We are truthful and follow through on all commitments.